CROSBY Harris County E.S.D. 5, the local ambulance service, Harris County E.S.D. 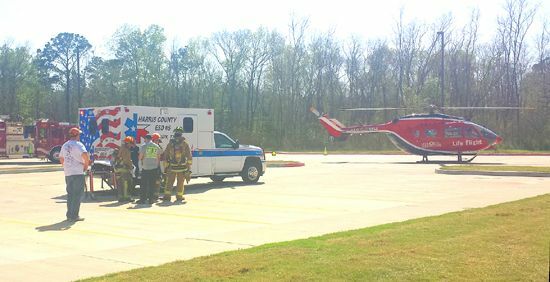 80, Crosby Volunteer Fire Department and Life Flight are working to put together a joint project in three phases that would provide greater ability to bring helicopter rescue flights to this area. Both ESDs have approved this project to begin development effective Feb. 27, 2014. Phase 1 of the project is the survey and building of a probable 100 x 100 foot helicopter pad to be maintained at the Crosby Vol. Fire Station 1 on U.S. Hwy 90. This will allow not only one but possibly two helicopters if needed be able to land without obstructing traffic and providing a safe area to do so. This phase is where the largest problem was encountered yet by E.S.D. 80 as the contractor estimate came in many times the amount expected. According to Randy Foster, board member, the architect of the project asked the contractor rhetorically if that estimate also included a helicopter. E.S.D. 80s board recognizes that currently, Crosby Volunteer Fire Dept. lands vehicles on ordinary roadways and concrete parking lots so many on the board believe that proposal was over specified in complexity. They expect to continue looking for the required but less costly options. Phase 2 will be contracting a engineering firm, by Harris County ESD 5 (EMS), that will build a Global Positioning System (G.P.S.) navigated flight path from any of the base locations of Memorial Hermann Life Flight Helicopters to the pad. Phase 3 is to train the pilots on the G.P.S. path. This flight path will allow for the pilots to fly in low weather ceilings (poor fog visibility) on instrumentation. Currently, a Life Flight to this area is performed under Federal Aviation Administration (F.A.A.) Visual Flight Rules (V.F.R.) V.F.R. are flown solely by reference to outside visual cues (horizon, buildings, flora, etc.) which permit navigation, orientation, and separation from terrain and other traffic. So fog, for instance, becomes a problem for safety. Typical daytime V.F.R. minimums for most airspace is 3 statute miles of flight visibility and a cloud distance of 500′ below, 1,000′ above, and 2,000′ feet horizontally. Flying by instruments to receive patients by ground ambulance crews enables Life Flight helicopters with equipment not allowed inside ambulances, like whole blood to fly more frequently and deliver improved emergency care. Currently, Memorial Hermann Life Flight flies on visual flight rules V.F.R. . This causes several of the flights in the Crosby, Huffman, Liberty, Dayton area to be turned down due to a historically low fog shoulder from the warm Bay air mixing with the cool area in the area. We look at it like building a roadway in the sky. comments Director of Operations for Harris County E.S.D.#5, the ambulance service in Crosby, Christy Graves. We will permanently commander this air space for emergency flights, disaster evacuations or any other pre-hospital response need. The best part is there is no maintenance once we complete the building of our sky roadway. This helicopter pad and landing site can also be used as a rendezvous location for other ambulances that need to evacuate a patient by air ambulance but has poor visibility in their response area. Crosby will be the first community to have a G.P.S. landing pad but, the Memorial Hermann Life Flight system will encourage others to also follow these emergency entities lead. The hope is for the project to be completed by October 2014. Once completed, the local agencies estimate to recover 50% of the flights that have been turned down for bad weather conditions and initially fly as low as 500 feet with a goal of as low as 250 feet in the future. The move is to establish a pathway for Instrument Flight Rules, (I.F.R.) Instrument flight rules permit an aircraft to operate in instrument meteorological conditions (IMC) in contrast to V.F.R.. They are also an integral part of flying in class A airspace. Class A airspace exists over and near the 48 contiguous U.S. states and Alaska from 18,000 feet above mean sea level to flight level 600 (approximately 60,000 feet in altitude depending on variables such as atmospheric pressure). Flight in class A airspace requires pilots and aircraft to be instrument equipped and rated and to be operating under Instrument Flight Rules (IFR). Most jet aircraft operate in class A airspace for the cruise portion of their flight and are therefore required to utilize IFR procedures. The main purpose of IFR is the safe operation of aircraft in instrument meteorological conditions (IMC). The weather is considered to be IMC when it does not meet the minimum requirements for visual meteorological conditions (VMC). To operate safely in IMC (actual instrument conditions), a pilot controls the aircraft relying on flight instruments. The net result is to make flying by helicopter more accessible when someone is in an emergency condition. CROSBY  Planning work is underway, to widen FM 2100, and alleviate delays for those that languish in protracted lines near the 6 oclock hours. When Harris County Precinct 2 Senior Director of Infrastructure Jeremy Phillips answered the Star-Courier, on the question What is the truth of the matter about widening FM 2100 from Crosby to Highlands and from Huffman to Crosby, there had to be some good information, following the speeches and promises made for the future by community leaders. There are two phases of plans from Harris County Precinct 2 to widen FM 2100 south of the U.S. 90 Overpass into Barrett Station. 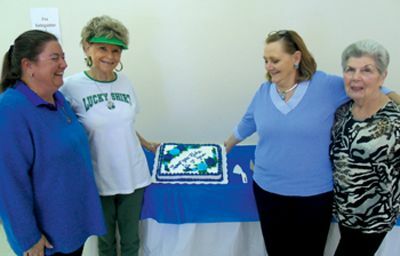 These two projects will be elaborated on by Phillips in the April Luncheon at the Crosby-Huffman Chamber of Commerce. At that luncheon Phillips will update the chamber members on current and upcoming projects in the area. Harris County Precinct 2 and TxDOT are working together to address FM2100. It is vital in coordinating with one another to lessen the impact on the community. TxDOT will be widening 2100 from U.S. 90 to 1942. TxDOT hopes to have this project bid in the latter part of this year. Design and construction are funded. Our start date will be better determined once TxDOTs portion advances. We have been in contact with the Barrett Station community regarding this project and plan to keep them updated as the project moves forward, said Phillips. This widening inside the community to Arcadian is no simple task as it will require the design and implementation of drains that can take the place of the ditches on both sides of the narrow two lane road. That section can only follow the widening from where the current four lane becomes two lanes southbound from the U.S. 90 Overpass of FM 2100. This bottleneck can only be addressed by the State due to the States culverts required for the underlying ditch. The design work has yet to be completed by TxDOT but it is being developed by engineering. Anyone coming south on FM 2100 in the early morning knows that sometimes traffic on FM 2100 stops due to the simple physics of too many cars on too few, little lanes. Essentially, FM 2100 is an artery that feeds workers to the oilfields and Baytown, now. Once oil pipelines and the Panama Canal expansion project are completed some expect there will be even more traffic. Panama Canal expansion project (also called the Third Set of Locks Project) is intended to double the capacity of the Panama Canal by 2015 by creating a new lane of traffic and allowing more and larger ships to transit. The fact is that no one knows yet what the increase in demand is going to be on FM 2100 in the northern sectors. But Texas Dept. of Transportation – Houston District has undertaken design work to meet the demands, but as yet there are no time limits set to begin the work. According to Danny Perez, Public Information Officer for TxDOT, There are plans to widen FM 2100 at various points between Crosby and Huffman but an estimated time has not yet been determined. 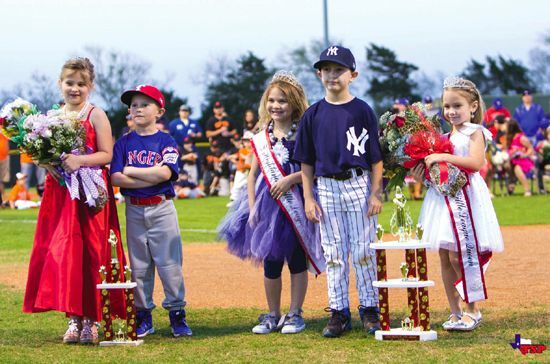 CROSBY  A local father has made fantastic progress getting Texas kids tested for heart problems by E.K.G.s and is now working on school districts such as Deer Park ISD to get athletes tested with some resistance. By now most locals have learned that Scott Stephens lost his son, Cody, to sudden cardiac arrest in May of 2012. Now some 12,000 student athletes will be tested by an E.K.G. thanks in a great extent to http://www.cody stephensfoundation.org. Now, all over Texas, middle and high school potential athletes get to look at a piece of paper and sign it that offers getting an E.K.G., they take that piece of paper with information about E.K.G.s home for their parents to sign that indicates for a maximum of $15 their kid can get tested against a potentially fatal problem. In many cases the test can be offered for free to the family of the athlete. Codys condition, hypertrophic cardiomyopathy, showed no signs of trouble before taking his life and most students would, if asked, say they had no heart problems. Now we get to the heart of issues that have come up, how frequently are there hidden heart problems. Currently, the foundation is finding that about 4.5% of students have something going on with them that they should be concerned about. They are finding that 1.6% of students have sever heart problems that they knew nothing about prior to the EKG test. Previously it was believed, under the old data collection method, that 0.3% had undetected sever heart problems. Currently, the Go-big-or-go-home Cody Stephens Foundation is trying to get a 1000 student fund going in Deer Park ISD to get athletes tested by an ECG for heart problems but have not heard back from the school. The coach is indicating he hopes the Foundation will continue to look into offering the test. Scott Stephens, who went up and back on Highway 290 to Austin for the State Legislature and U.I.L. last year with some success is now getting close to a meeting with some major hospitals like East Houston Regional and partnering with some of the area Independent School Districts to provide even more E.K.G.s to more students for free as the foundation can fund or minimum pricing as the hospitals can staff. Could anyone not say that it would be worth $15 to save a young athletes life? This entire effort is to keep other parents from losing some member of their household to a undetected threat that they may have never heard of, like Scott did back in 2012. CROSBY- For a free V.I.P. pass and photo session with Uncle Si Robertson of Duck Dynasty, a fan can compete in the Friday is Si-Day beard and dress contest to determine who most resembles Uncle Si at the Zydeco Festival to be held at the Crosby Fairgrounds this comming weekend, March 14-16. Those who are interested can obtain their tickets at Crosby Church at the discount price of buy two and get a third ticket free. Three V.I.P. tickets will be issued to the winners to join with Uncle Si Sunday at the Festival. Crosby Church is having Team Impact get involved with the Zydeco Festival. Traffic on FM 2100 may see some congestion as parking will be available at the David H. McNerney American Legion Hall but all other parking will be directed to the Fairgrounds should enter from Church Street for parking. The event will be Friday, Saturday and Sunday, March 14-16. According to Troy Barrett, this years Zydeco Festival will feature the finest in Zydeco Music, greatest food and crawfish, an obsticle course and the biggest slide in Texas for the kids. Gates open Friday at 6:00 p.m. and Jeffrey Broussard will play. Saturday performers include Chris Ardoin, Lil Nate, Step Rideau, J. Paul Jr. and Brian Jack. 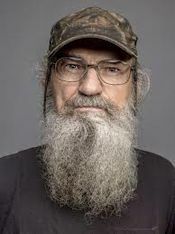 Uncle Si and Allen Robertson will be with the Sunday attractions.